After countless hours of designing and renovating, it’s vital to install a sound system to really bring the theater home. A poor sound system could make all that new furniture and decor a waste of time if the movie isn’t theater-quality. However, a good (better yet, amazing) sound system can change the entire way you and the family experience your favorite movies and TV shows. We have put together a list of our favorite speakers for your home theater, so get to scrollin’ and start enjoying! The 7.1 channel format included in the G-6 is evident when you hear what it is capable of. 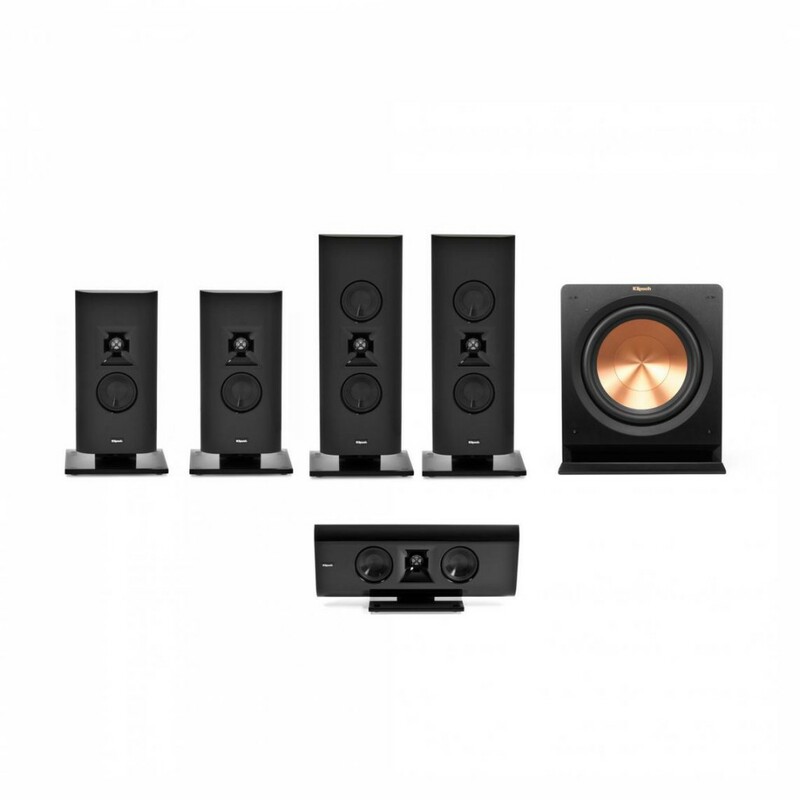 Known for like-like audio and depth, this range is a top contender when picking a quality sound system. However, this also comes with the higher price tag and requires more instruction manual time than others. The Denon receiver offers many home theater system features including WiFi, Bluetooth, 3-D and HEOS wireless technology. With all of the latest technology also comes the complexity. This is not a system for beginners and could take some time to learn how to navigate. This is another top contender and for good reason! 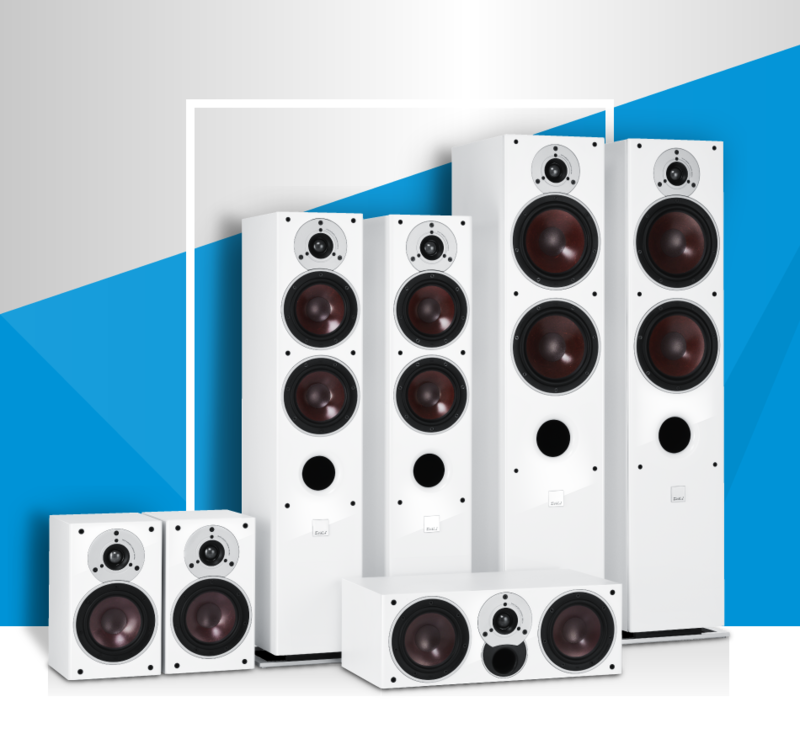 The 5.1 system mixes it up with 5 speakers ranging from stand-mounted to traditional floor-standing speakers, as well as a centre-channel speaker. 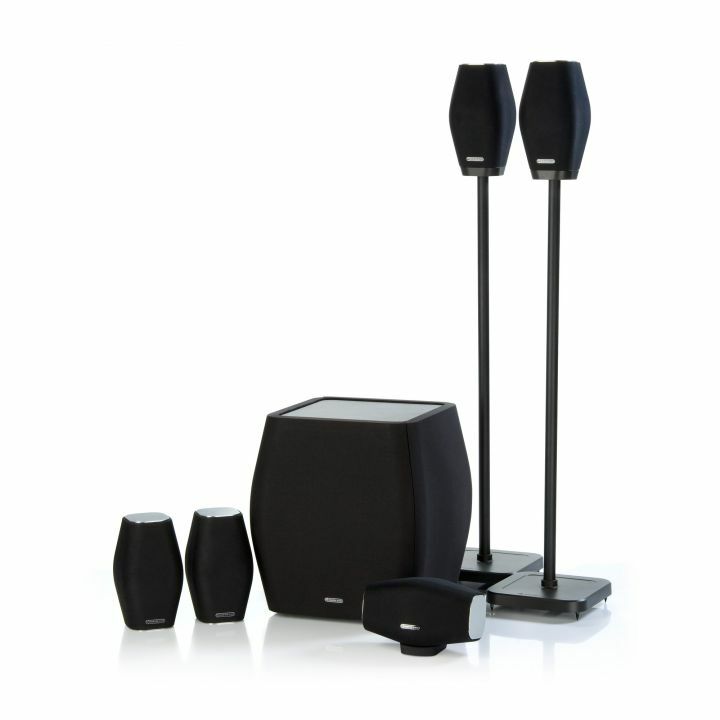 Not only will it give your home theater a sophisticated touch, it delivers quality sound and performance. You will have to pair with your own receiver and we suggest the Yamaha RX-V681. The axiim Q HD is known for its amazing wireless connection. This setup is perfect for the person who hates the view of any stray wires. We don’t blame you, the clutter can take away from the clean look of your home theater. The downside to this sound system would be the hefty price. If you can spare it and wireless connection is a must have, then splurge for this sounds system! 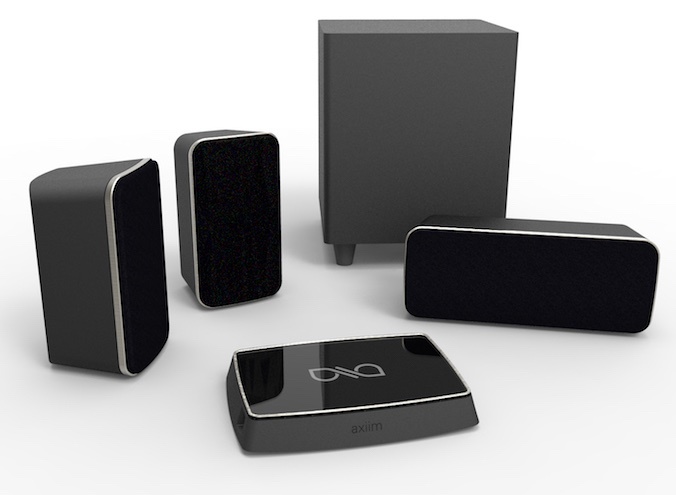 This sound system is great for catching detail, range of volume and updated design. Not only is it well known for its remarkable sound, it is just as applauded for its compact size. Gone are the days when you were distracted from your movie because of bulky sound systems. The Monitor Audio Mass makes it so that you are able to focus on the screen, all the while experiencing quality audio. Although this sound system doesn’t come with its own receiver, we recommend the VSX-1131 for a fitting pair. The Elac Debut delivers incredible performance for a remarkable price. It is known for its smoothness which makes dialogue sound as though it is happening in real life — not just on screen. With this smoothness also comes depth of space and large bass capability. It packs a mean punch during action scenes but can be just as rewarding during the more delicate on screen audio. The ELAC S10EQ app-controlled subwoofer is included and allows you to tune the low-bass output to adapt to the acoustics of your media room. Do you want to step up your movie watching experience? Now that you have a better idea of the best sound systems in the home theater game, be sure to include a SoundShaker to your chairs to really feel the movie. Seats will shake and vibrate in synchronization with on-screen action! 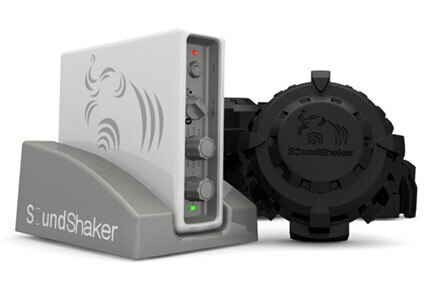 The SoundShaker seat vibration kit is a revolutionary product and one-of-a-kind. It attaches to your individual seat with easy setup and wireless connection. The SoundShaker amp can power up to four shakers at once, that way you and the whole crew can enjoy the experience. In addition to your new sound system, the SoundShaker will surely bring a crowd. So, put your feet up, turn on the latest movie release and get ready to feel as though you are in the movie alongside your favorite characters! Head over to 4seating to check out how you can include the SoundShaker into your home theater! This entry was posted in Home Theater on July 26, 2017 by seatcraft. There’s nothing that’ll ruin your viewing experience like a glare on your TV screen, or lights that drown out your video projection. For a home theater, the darker the room, the better the experience. If your home theater has windows, don’t place your TV on the wall opposite the windows. Additionally, consider the surface of your TV screen. If it has a matte surface, it should minimize light reflections; but if it has an extra glass-like coating, light sources may create additional reflections, distracting from the picture. If your mindset is to go big or go home, there’s probably an internal argument going on about whether to get a really big TV or a projector and screen. If you’re looking to get the biggest bang for your buck, you need to take into consideration the cost per inch of picture and the quality of picture, both being inextricably linked. If a projector and screen combination is what you seek, then be sure to weigh the pros and cons before pulling the trigger. If you’re seeking better brightness, resolution, and color accuracy (just to name a few), a large TV is the way to go. However, if you’re inclined to desire more in the way of size, a projector and screen combo may reign supreme. We know you want a big TV –who doesn’t? But, an excessively large TV isn’t always the best option for the size of the room or the viewing distance. For 720p and 1080p HDTVs, the optimal viewing distance from the viewer to the TV should be about 1.5 times the width of the TV screen. If you have a 55-inch Plasma, LCD, or OLED HDTV, for example, sit about seven to nine feet from the screen. With the current trend towards 4K Ultra HD TVs, however, you’ll get a better viewing experience if you sit closer to the TV. On the other hand, if you buy a TV that’s too small, it will be like looking through a tiny window. To ensure you get the best screen size for your space, measure the available width and height you have in the room, and the seating distance from the screen. One of the biggest reasons people return their TVs is because it is either too small or too big to fit the designated space! Don’t cheapen your experience by buying or repurposing conventional house furniture or uncomfortable, but inexpensive seats. One of the best things about having a home theater is having your very own clean, comfortable seats to curl up in. If you’re spending the time and money to design your home theater, you’ll want to invest in seats that will both showcase your style and last you a lifetime. These reclining Seatcraft Excalibur LX Home Theater Seats are made of premium top grain leather (the most durable tier of leather), have ambient floor and cupholder lighting, and come with USB charging stations. Seats like these will definitely take your home theater game to the next level. You connect and place the speakers and turn everything on, but it doesn’t sound right. You can’t hear dialogue over the rest of the soundtrack, the surround sound effect is too low, and the bass is overwhelming. Help! Try using a sound meter to generate test tones and use the setup program that most theater receivers have to match your speakers’ capabilities to the characteristics of your room. This will help determine the size of the speakers and the optimal distance for listening, and will use this information to adjust the sound output level of each speaker. 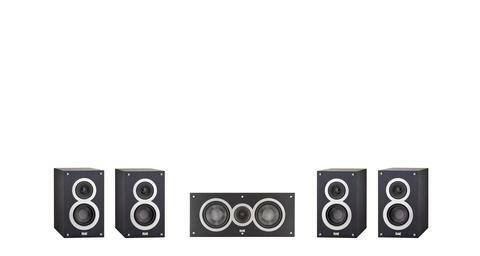 If you have a medium or large room, a set of floor-standing speakers is probably your best bet because they provide a full range sound and are able to move the sound through larger rooms. If you don’t have a lot of space, a set of bookshelf speakers may be a perfect option. Forming an appropriate budget and sticking to it will save you a lot of stress in what may seem like an overwhelming task. In order to do this, consider a variety of brands and models, do your research, avoid prices that seem too good to be true, and don’t devote your entire budget to the big ticket items. More often than not, doorbuster items won’t meet your needs. This doesn’t mean you need to spend a fortune on things like TVs or seating, but consider doing some research to determine which item will fit your preferences and budget. Also, don’t forget about the little guys! It’s easy to overlook things like wires, cables, wall mounts, remote controls, and other accessories that will add up. Despite recent trends of hiding speakers in cabinets, furniture, or behind plants, this will really hurt audio performance. High quality speakers perform their best in an open room; if you put speakers inside cabinets, you essentially undo all the work the designer did to make the speaker sound great. Rather than adding to your home theater experience, you’ll get a muddled, booming sound quality that’s much worse than it would be without extra speakers. Don’t conclude a movie night and allow your guests to leave your new home theater room in complete disappointment all over their faces! A truly great home theater is more than just the projector and screen – it’s about how it all comes together to give a fully immersive experience! Need some design or home theater advice? Ask our experts at 4seating.com! This entry was posted in Home Theater and tagged design, home theater on July 16, 2017 by seatcraft. The seating, lights, sound, and design are all major aspects of your home theater. But, the screen is just as important and a major focal point when walking into your home theater room. Framed by red home theater curtains with all luxury seating facing in its direction, the projector and screen are the main attraction. Sure, you could buy a big screen TV, but the best way to watch the game or dive into the movie is to have a large screen and projector. Projectors give you control over the size of the screen– whether that is the size of the entire wall or something on the smaller side. We’ve rounded up our top 5 favorite home theater projectors. The short-throw lens on this projector achieves a huge projected image in a small space. The upside: The unique cable management system offers a way to hide cables. At 3200 lumens, the brightness of this projector makes it a great choice for a room with some ambient light. The downside: Has lighter black levels and less-accurate colors than other less expensive projectors. Some reviewers also reported trouble with the remote. 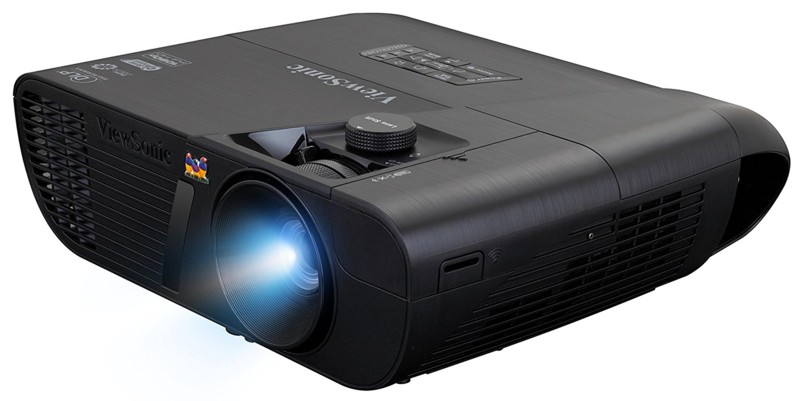 Often costing upwards of $8,000, 4K projectors are quite an investment. This projector from Sony offers great picture and other features. The upside: This projector upscales 1080p content to 4K with ease. The 300,000:1 dynamic contrast ratio makes colors display vividly. The downside: Like most 4K projectors, this does not have a short-throw lens, so make sure you have the space. Images are hard to see in daylight at 1,500 lumens. 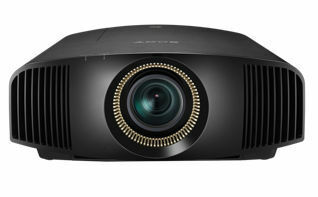 This projector offers a number of HDMI inputs as well as best in class connectivity. The upside: There are 3 HDMI inputs, a plus for a user with a higher number of connected devices. One of these inputs is in a hidden nook, designed to be the perfect size for streaming sticks. The audio goes through the Viewsonic’s audio input as well. 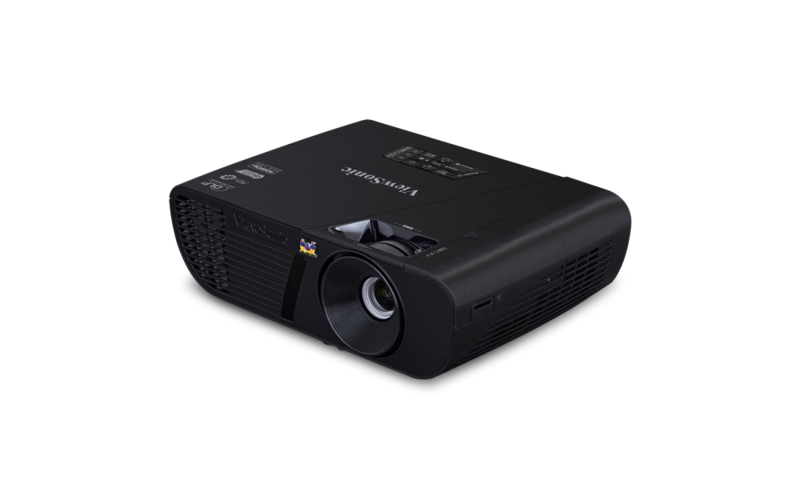 The downside: There are other projectors that offer better video processing speed and picture quality at this $800 price point. Coming in at under $550, the Optoma HD142X is the ideal purchase for the budget-conscious buyer. The upside: This full HD projector has good image quality, with generally accurate color and contrast. You can get 5,000 hours out of its bulb at its brightest mode, or up to 8,000 on a less-brighter setting. This projector is long-throw, meaning it can cast a big picture in a small room. The downside: Its colors are less sharp and accurate than some more expensive competitors. It also does not have an AV input (just 2 HDMI inputs), so you can’t connect older devices. With little lag time and an intuitive, user-friendly design, this projector is a gamer’s dream. With Viewsonic’s most advanced color technology, plan to enjoy a fully immersive movie experience. The upside: This projector has very little lag time, making it perfect for the avid gamer. It also experiences little to no performance deterioration over time. Complete with a short throw lens, this projector works great in modest-sized rooms as well. The downside: It only has one HDMI input. This can be problematic considering the number of devices an owner may want to connect. A good projector is a must for a large and high quality picture. Choose one that best suits your needs– be that for gaming, ultra-high definition, or much flexibility. There is a projector for every need and every budget. Whether you’re just building your home theater or looking to upgrade, investing in a projector is a great choice. To add the cherry on top, ensure your home theater seating is comfortable and relaxing with luxury seats from Seatcraft. Accompany the seats with entertaining accessories such as the wine glass caddy, SoundShaker seat vibration kit, or the adjustable tablet holder. This entry was posted in Home Theater and tagged home theater, mancave, projectors on July 9, 2017 by seatcraft. Looking for streaming movies and shows to binge-watch this July? We’ve got you covered! Here is a comprehensive list of all the shows and movies you won’t want to miss in the comfort of your air conditioning and SeatCraft seats! It’s a good time to be an Amazon Prime subscriber this month. With so many new releases, you’ll be lucky if you make it off your couch all weekend. What stands out from the list? June was a slow month for Netflix, but July is jam packed with new and returning TV original series, popular TV shows and noteworthy movies. The Star Wars Movies do not disappoint. Neither does Rogue one, the latest of the series of movies. The rebel alliance fight against the Galactic Empire to steal plans of their latest weapon, the Death Star. Watch Rogue One on Amazon Instant Video for Prime members this month. Nerve’s theatrical release got lost in the shuffle of super heroes last summer, but it makes for the perfect Friday night flick to stream from home. Starring Emma Roberts and Dave Franco, the film is centered around the young co-stars stuck in a real-time game of Truth or Dare, minus the “Truth” option. A touching story of family, perseverance and identity. Lion showcases the story of a 5 year old boy separated from his family in Calcutta. After facing many challenges, he is adopted by a family in Australia. As an adult, he goes on a quest across the globe to find his family once again. Don’t miss this heartfelt film on Netflix this month. Clint Eastwood stars as ‘Blondie’ in this classic western shoot em’ up. Blondie takes matters into his own hands in a race to find a buried gold treasure. Eastwood gives a memorable performance in this film. 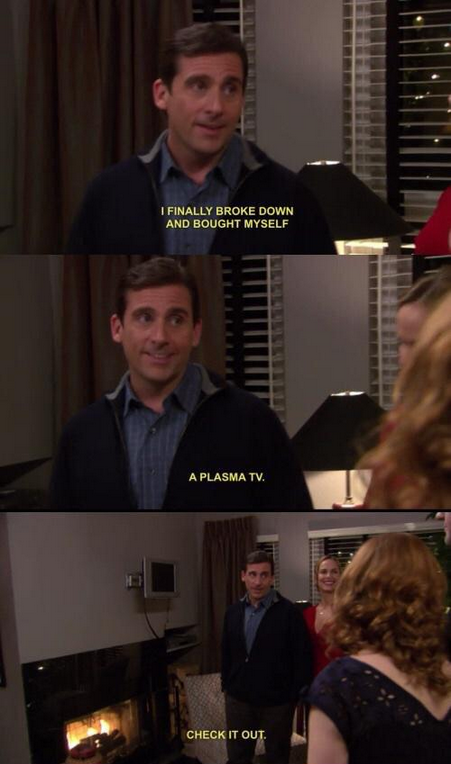 Stream it on Amazon Instant Video if this sounds like a good fit for you. If you haven’t seen Talladega Nights, do yourself a favor and watch it. Will Ferrell stars as Ricky Bobby, Nascar’s number one driver. This comedy is one of Ferrell’s most notable films and will surely be a house favorite. Watch Talladega Nights on Hulu this July and remember: ‘If you ain’t first, you’re last!’. This entry was posted in New Releases and tagged amazon prime, hulu, netflix, new releases on July 1, 2017 by seatcraft.